Sant’Anna begins from great heights. It’s from up high that one can see far away, beyond the confines of prejudices, expanding horizons to the discovery of new and unexplored territories. Sant’Anna Fonti di Vinadio is a company that, since its inception, has dreamed big and made the principle of innovation its lifeblood; there is evidence of this in its history as well as in the studies done on its products and its plant. The Sant’Anna Plant is an avant-garde model of sustainability in the heart of the Maritime Alps along the border between Piedmont and France. It is constructed according to sustainable architecture and green building principles. The structure is prevalently made of wood and stone and respects the styles and materials traditionally used in the peaceful alpine valley of Vinadio. The area extends across 60 thousand square metres, with an altitude about 1000 metres in the part where the mountains create a large natural plateau. Its production site is internationally recognized, studied and visited by many high caliber companies. As you enter the facility, order and grandeur rush through your lungs: a real mountain of water unveils before your eyes, dancing with technology and organization. 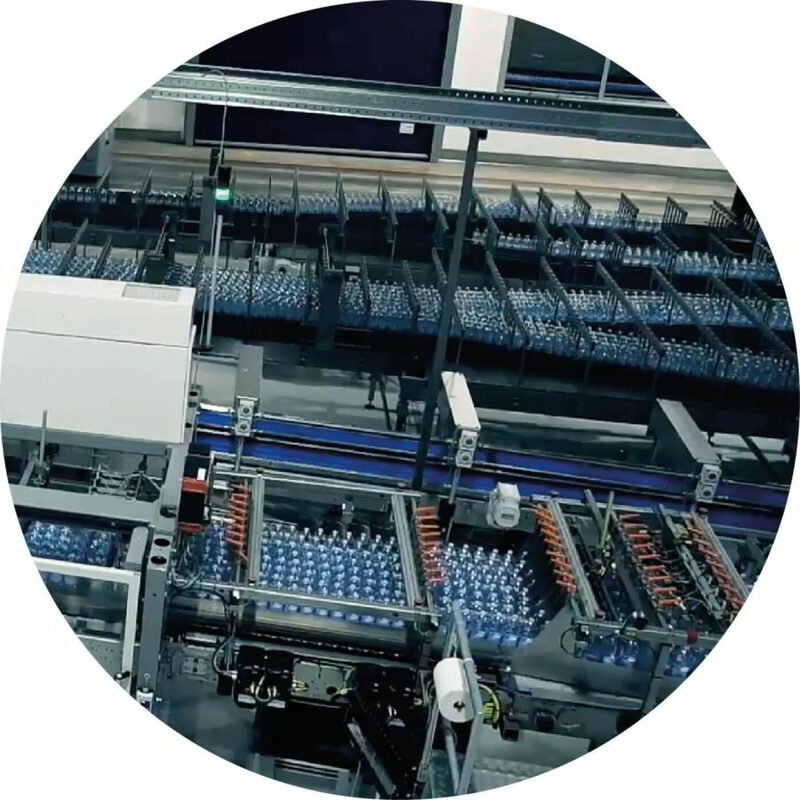 Bottling lines are fully automated, and they are capable – thanks to a new technological business developed purposely for Sant’Anna – of producing all formats from the half-liter (16.9 fl. oz.) to the 2-liter (67.6 fl. oz.) 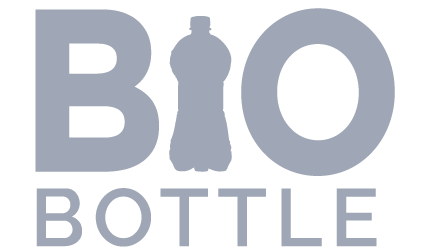 bottle, with a production output up to 54,000 bottles/hour. SanThè and Karma drinks are produced in aseptic machine lines for bottles and cups. 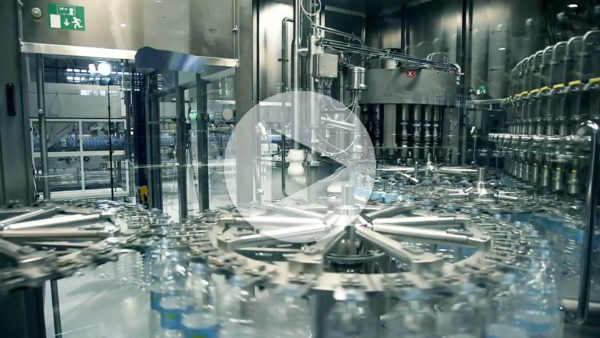 One of such lines, granting a production output up to 81,000 bottles per hour, is currently the fastest in the world. 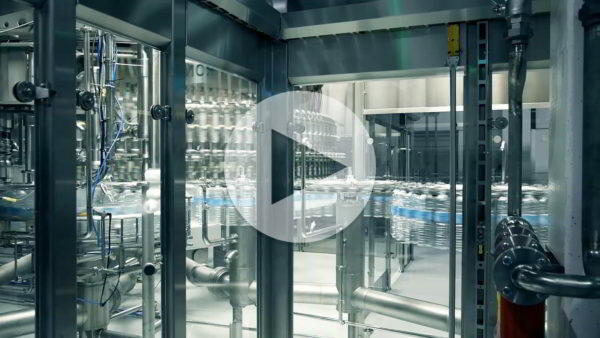 The full potential output of the facility is 3.5 billion bottles/year. Fonti di Vinadio actively collaborates with Italian and international partners in increasingly more advanced technology research dedicated to various phases of production, contributing to the development and improvement of those existing in the market. 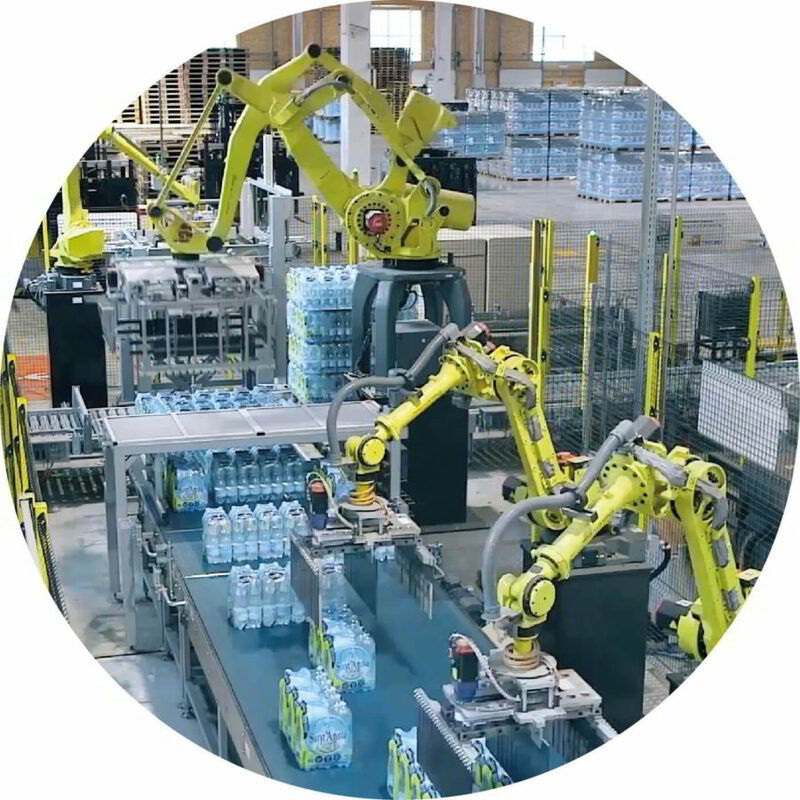 Special robot arms operate in the packaging phase and have been specifically designed to save a considerable amount of plastic. 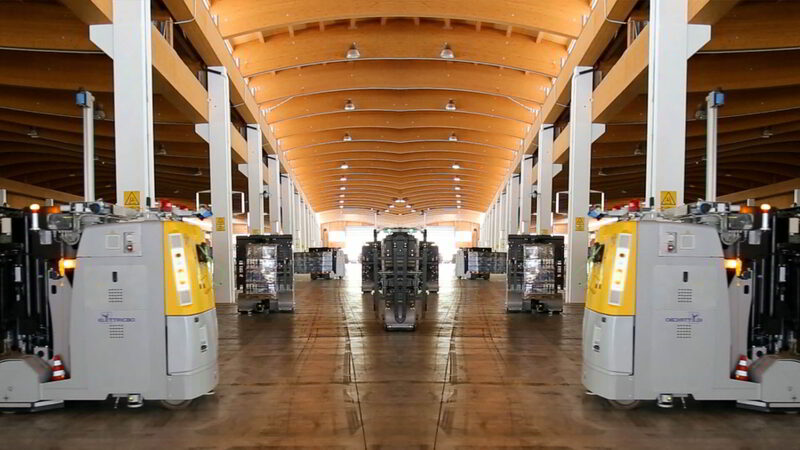 At the end of every line, the various product-filled pallets are loaded and handled by a fleet of 40 laser-guided robots, automated carts that respond to input from centralized software. These vehicles move in an orderly way around the large warehouse park, overseeing phases from the storage to the loading of the pallets of water onto the trucks. 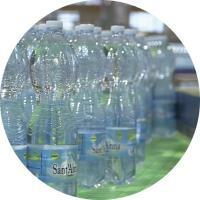 They are able to distinguish the various types of water, formats and quantities. Their precision rate is excellent at 99.5% and they respect the environment (in fact they work with rechargeable batteries instead of using fuel). Furthermore, thanks to an innovative technology completely Made in Italy, they increase on-the-job security, eliminating possible accidents to people and damage to things. Fresh water from the Sant’Anna springs never stops and neither does the production cycle in the plant. 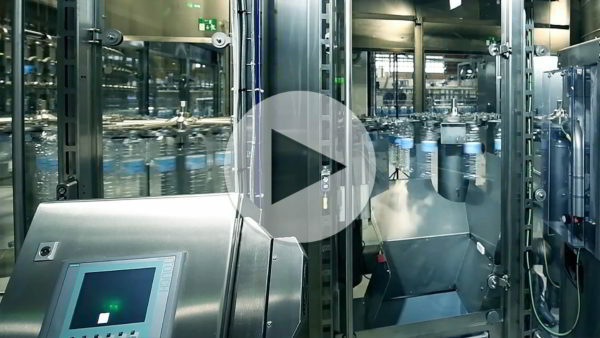 It’s a continuous flow, bringing water from the Alps directly to the table in only 48 hours. From the Sant’Anna source a network of 400 km of stainless steel tubes branches out. It is a true piece of engineering work, integrated with the environment, that brings Sant’Anna Water from the top of the mountains directly to the plant. Here the water is collected in 11 tanks able to hold up to 1 million litres. 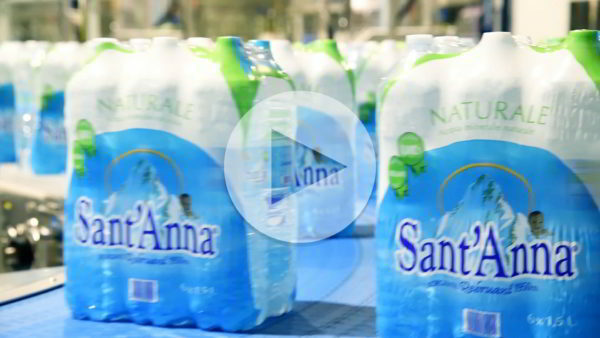 The water is immediately bottled into its various Sant’Anna formats or Bio Bottles, otherwise becoming the water of SanThè and Sant’Anna beverages. 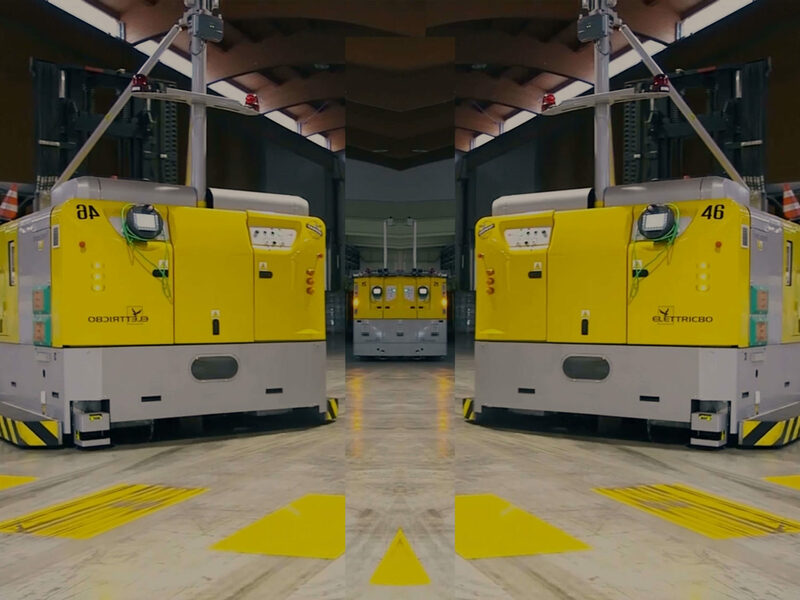 The fast warehouse, run by automated laser-guided carts, allows for loading directly onto the trailer trucks. Full of fresh water, they leave from the factory and stop at the first big train station in the valley where the product is moved onto the trains and then shipped throughout Italy.